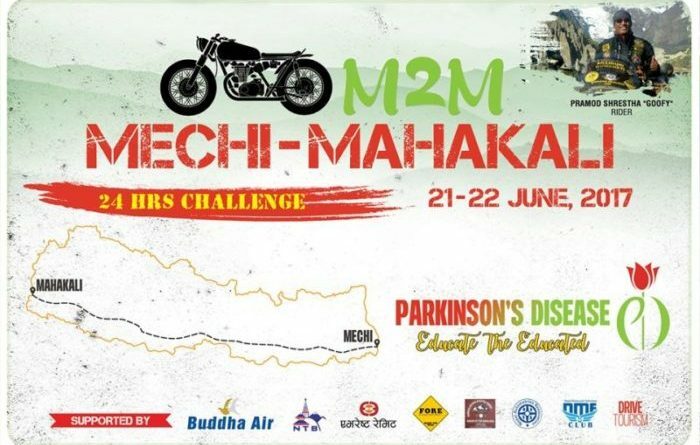 KATHMANDU, June 18 : In order to promote the drive tourism along with the awareness regarding the “Pakirsan” disease an challenge ride from Mechi to Mahakali is set to be organized from June 21. Pramod Shrestha Gufi is set to complete the ride in 24 hours where he will be running from one end to the other of Mahendra Highway. He will be completing the ride which is to be organized by Yes M to M Challenge Himalayan Enfilders. It also is being promoted by Nepal Tourism Board. Though it is a 24 hour ride it will start in 19 June and end in 24 June which will start at 8 AM (Local Time) from Kakarvitta on June 19 and end in Mahendranagar on the following day. During the ride other bikers also will assist Shrestha along with the banners and displays about the awareness over Pakirsan.